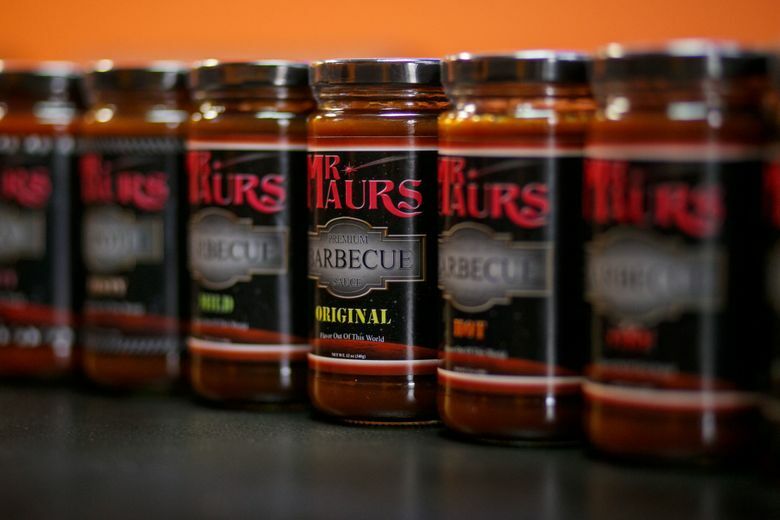 When he’s not working as a security guard in South Lake Union, Spencer Lindsay is cooking up sauces he sells under the Mr. Maurs brand. He’s moved from in-person sales to selling his products on Amazon using a service geared to budding entrepreneurs. Security guard Spencer Lindsay works three 12-hour shifts a week at Amazon.com’s South Lake Union campus, watching over the software developers and retail experts who toil to expand the frontiers of e-commerce. On his own time, the 32-year-old is an internet merchant too, building a business on top of Amazon’s own. A couple of mornings every week Lindsay borrows the kitchen of a Peruvian restaurant and grocery in Shoreline dubbed “Los Pollos Hermanos” (which draws its name from a fictional restaurant chain in the hit TV show “Breaking Bad” ). 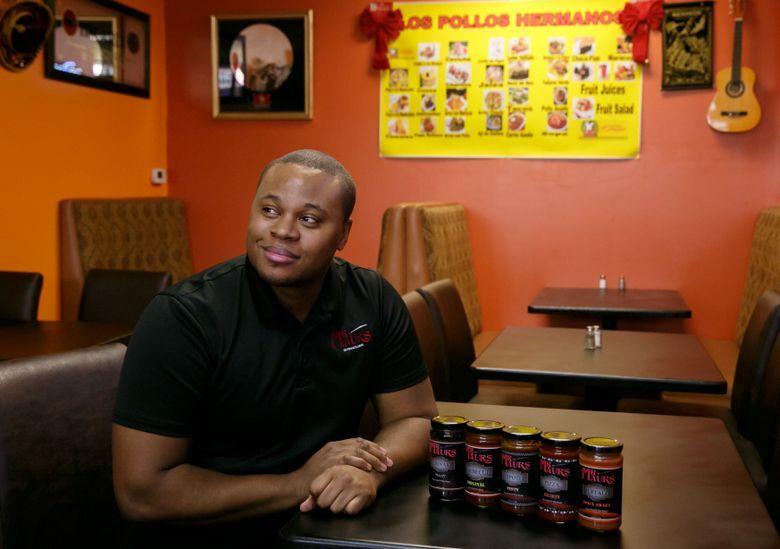 There, in a 10-gallon pot, he cooks various sauces, including barbecue and teriyaki, that he spices with exotic ingredients he plucks from the store’s aisles (including chicha morada, a purple Peruvian drink made from corn, and Parmesan cheese). Lindsay sells the sauces in person to colleagues at Security Industry Specialists, the contractor that provides guards to Amazon, where he has worked since 2013. He started cooking for profit shortly after taking the job, when the barbecue chicken wings he brought to a work potluck at Golden Gardens were a success. Word spread and now Amazonians in the know about Lindsay’s talents as a saucier seek him out. But last September, Lindsay shipped four 12-bottle cases of his products to an Amazon warehouse and had them listed on the site, in the hope of striking a chord with Amazonians on their online turf, as well as reaching beyond the confines of the campus. That was only the first shipment; more would follow. His Amazon account is set up so that every new order triggers an email. That meant his phone got pinged a lot when word got out that he was selling his stuff online. “I was getting emails all the time. Twelve jars within a couple of hours,” he said. The first orders came from his roster of clients. “I knew everybody,” he said. But then an order came from the Southwest. “Arizona? Who is this? Probably a friend of a friend of a friend,” he said. Lindsay’s budding business showcases an interesting aspect of Amazon’s internet emporium. It’s a place where the company conducts its own retail sales, those of big brands and those of major resellers. But it’s also a platform for entrepreneurs building their own mercantile empires from scratch. Amazon, often criticized for wrecking Main Street retail jobs, highlights that 100,000 merchants on its Marketplace — which is what it calls the platform it offers third-party sellers — each racked up more than $100,000 in sales in 2016. That’s meant hundreds of thousands of jobs, the company says. Another innovation that makes it easier for budding entrepreneurs such as Lindsay to focus on making sauce: a service dubbed Fulfillment by Amazon (FBA), in which the tech giant handles logistics and shipment. Some 55 percent of units shipped by third-party merchants selling on Amazon.com in the fourth quarter of 2016 were part of this program, which is an increasingly profitable part of Amazon’s entire business. Amazon’s shipping revenues, which include money earned from FBA services provided to merchants, grew to $9 billion in 2016 from $6.5 billion the previous year. Lindsay says it wasn’t until February that his Amazon operation recouped the initial investment of a couple thousand dollars. But he envisions the day when his business grows enough to provide a livelihood for himself — and others. “I want people to work for me,” he said. The hardest part, Lindsay says, is getting noticed among millions of products on the website. 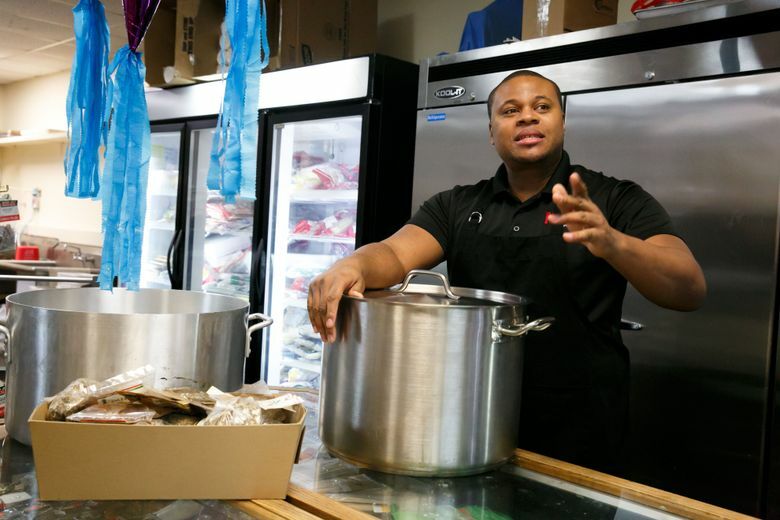 That’s why he plans to combine his online strategy with an offline stand at Pike Place Market’s farmers market offshoot in South Lake Union, on Thursdays starting in May. So far he’s sold hundreds of bottles of barbecue sauce. He’s also attained an important metric in Amazon-land, which helps products become more visible on the site: unanimous five-star reviews.